all of which include breakfast. 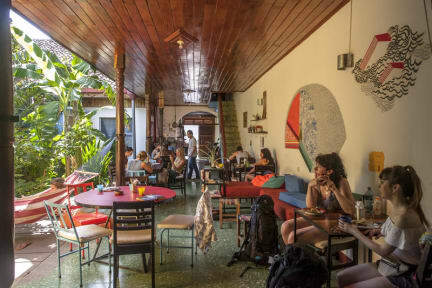 We also offer free wifi, free coffee all day long, laundry service, an open kitchen, a bar, hammocks and a little rooftop to chill after a hot day. We'll be glad to welcome you, happy to help with any information you may need and to share our tips and love for Nicaragua. 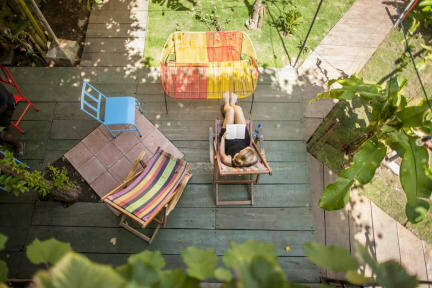 you can enjoy granada’s hidden treasures. We have mixed dorms, in wich you'll find fans and bunk beds with brand new mattresses. Every bed comes with its own bed linen as well as its own reading light + a little spot to put your water bottle at night. plugs to charge your electronic equipement. Private, double, twin and triple rooms. We don’t have A/C but both private rooms and dorms are well equipped with fans. Taxes not included - 15.00%. Check in is possible from 1pm to late night / early morning on booking.